Whether you’re looking for the perfect cabernet or a chardonnay to fit your taste, Alabama has just the thing to satisfy your palette. 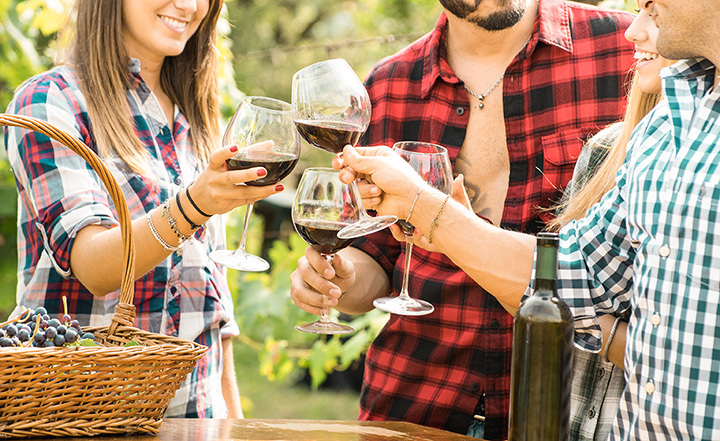 From family-owned wineries, opportunities to support local small vineyards, and spaces with a buzzing atmosphere, you can’t go wrong at any of these 10 superb Alabama wineries. This quirky vineyard is a must-visit. The owners of the family-owned winery have roots in Alabama and California, giving their wines an interesting take. Their long line of different wines range from a delightful Huckleberry wine to a Alabama-rita wine that will get any party started. The overall lively atmosphere of this hidden gem will have you coming back for more. Morgan Creek is not your typical vineyard. Aside from their sophisticated line of southern-inspired wines, the venue hosts a number events yearly. From annually hosting fireworks for the Fourth of July to their fun-filled grape stomp, this vineyard knows how to have a good time. The grounds are endless and gorgeous, serving as a beautiful venue for a wedding. Family-owned Ozan saw its first planting in 2001, and ever since has been an Alabama favorite. From reds to dessert, they cover the full wine spectrum each with their own personal touch. Located on the road from Birmingham to Montgomery, the beautiful grounds serve not as a fun stop for wine tasting, but as a picturesque site for a wedding venue. A quaint atmosphere for wine tasting, Hidden Meadows offers a personal touch to your experience with their homey aesthetic. The family-run winery offers over a dozen varieties of wine that complement any meal or dessert. Talk about an “oldie but a goodie,” the Bryant vineyard is not only Alabama’s oldest operating winery, but has a delicious variety of wines that will keep you coming back. Family owned land since the 1800s, the first vines were planted in the mid-1960s. Tine then, the vineyard has produced award-winning wines such as their Dixie Gold and Dixie Blush, two stand outs in a stellar line up of whites and reds. Planting since 1998, this small farm-based winery is one of Alabama’s best kept secrets. The winemakers grow a number of muscadine grapes, including the Noble, and Ison, among others. The winery also features a scenic flower garden that is perfect for sitting in while trying their wine. Founded in 1972, the Perdido Vineyards have long developed a delicious assortment of wines from their southern-grown muscadine grapes. Their list features a delicious blueberry wine, made with Daphne-grown blueberries, and a Magnolia Springs dry-white perfect for any meal. If you enjoy supporting local businesses, everything about this winery is kept in-house in Alabama. Located off the beaten path in Camp Hill, the Hodges Winery is an Alabama favorite. What began as a hobby for the Hodges family developed into a full-run business, planting the first vines in the scenic grounds in 2008. Ever since, the Hodges winery has made a strong assortment of white and red wines that fit well into the Southern wine aesthetic. Graced with a flare of true Southern hospitality, the Jules Berta Vineyard is quintessential Alabama wine. The family owners began planting in 1987 and have developed a list of stunning cabernet, merlot, chardonnay, and more ever since. Founded in 2005, this up and coming winery is one of a kind. With a variety of delicious whites and reds, the blends developed here truly highlight the many accents and flavors that Central Alabama has to offer. The grounds are simply beautiful, and the atmosphere is fun and sophisticated. View more Alabama Wineries & Vineyards.